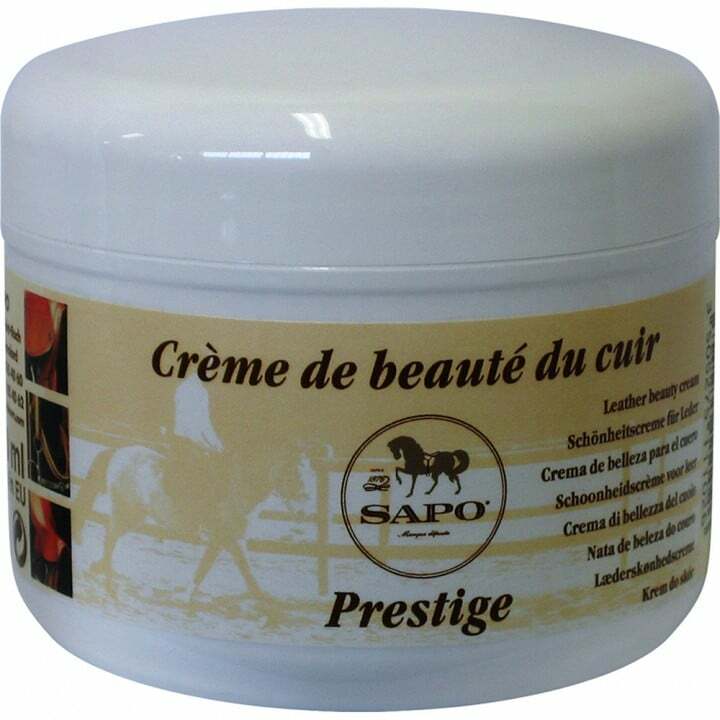 Leather beauty cream, especially elaborated for the maintenance of all smooth leathers, fine, flexible, full flower, of Saddlery, Handbags, Furniture, Clothes, … Consistent and colourless cream with Carnauba wax, it nourishes in depht, protects durably from the spots and makes leather more resistant to the tear. 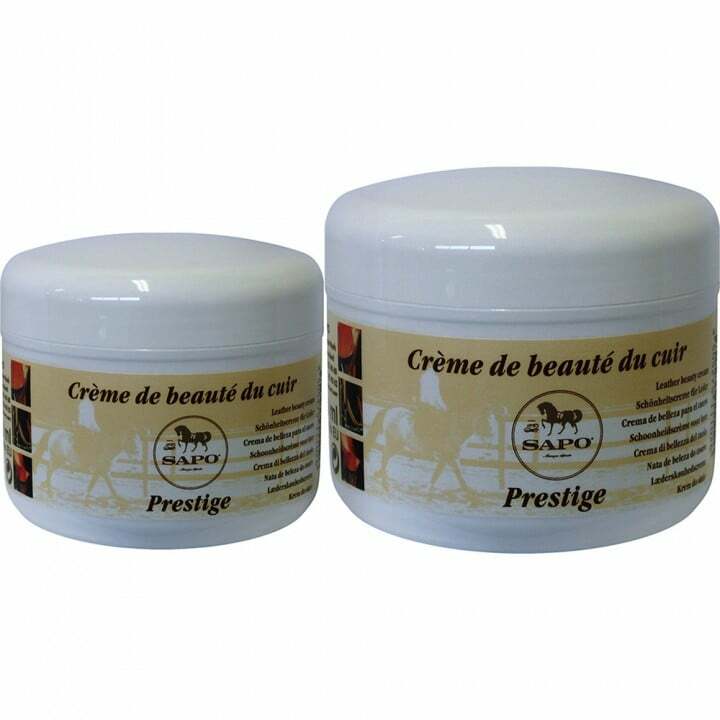 – Riding: Saddles, bridles, harnesses, boots, gloves etc. – Furniture and Clothes: Leather chairs, furniture, clothes, handbags etc. Treat your new leathers systematically. Apply SAPO PRESTIGE with a soft and clean cloth. Let dry a few minutes then polish. Frequency of use: once a month in regular maintenance, twice a month at the places subjected to frictions.